Contact Author - Scheldon Kress, M.D. Power Over POTS: A Family Guide for Managing Postural Tachycardia Syndrome by Scheldon Kress, M.D. is a book designed to help families understand and manage the complexities of POTS syndrome, as well as the diseases that co-exist with this hard-to-recognize condition. This in-depth guide explains how this common, often overlooked disorder can wreak havoc on a patient’s ability to function if not discovered and addressed as early as possible. 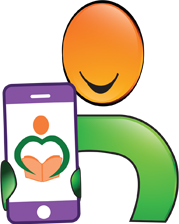 The chapters describe the various symptoms of POTS, the body systems affected and why, family support tips, coping strategies, a Power Over POTS recovery program, and so much more. Although it’s written to support those affected and their families, physicians, health professionals, and counselors will benefit greatly from this book, so that they may identify and treat the root cause, thus reducing the percentage of misdiagnoses and helping those who suffer get off the merry-go-round and begin the journey of taking their life back. A lot of work went into this amazing read. Power Over POTS by Scheldon Kress, M.D. is one of the most detailed books I’ve ever read about this condition, from which I personally suffer. When I was first diagnosed with Dysautonomia, Ehlers-Danlos, POTS, and MCAD a decade ago, little was known about it throughout the standard medical community. I was given no information, a pamphlet, and resources (thank goodness for the internet). I had been misdiagnosed a zillion times before a caring, intelligent M.D. at the Fibromyalgia center took the time to review twenty years of my files. He knew exactly what it was. The relief! It’s hard when you’re searching for medical support and they look at you as if you have three heads when you say, “I have Mast Cell Activation and POTS, my body goes pretty bonkers.” In my experience, there are only a handful of doctors in the US that even treat MCAD, which many times goes along with POTS. Every doctor should have a copy of this well-researched, exceptionally-written, informative book. My husband and I sat and read it together and I just kept saying, “Yes, this is exactly what we’ve been going through!” The detailed information, strategies for special situations, vast understanding of this condition, added terminology section, and resources make this a brilliant must-read for patients, families, and the entire medical community alike. I wish I could give this book twenty stars. Excellent job! POWER over POTS: A Family guide for Managing Postural Tachycardia Syndrome by Scheldon Kress, M.D. is a non-fiction medical book on the condition called Postural orthostatic tachycardia syndrome or simply known as POTS. POTS is a relatively little known condition in which blood stays mostly in the lower part of the body on standing up, which increases the heart rate among other symptoms. In this book, Scheldon has provided an in-depth review and analysis of this obscure condition. The book is split into several chapters, each dealing with a certain topic in thorough detail such as what is POTS, what causes its most commonly known symptoms, how to diagnose POTS, the variety of symptoms among various patients, other illnesses or conditions that co-exist with POTS, other conditions that may be confused with POTS, the general prognosis of the condition, ways to recover from this condition and things that can be done even at home to improve the condition, etc. There are also illustrations and diagrams provided in the book that highlight this medical condition and help to explain it medically. POWER over POTS: A Family guide for Managing Postural Tachycardia Syndrome is a great and informative book. I actually hadn’t even heard of this condition until I read this book. The author has, however, done a good job of explaining what this condition is so that even lay people can understand it. 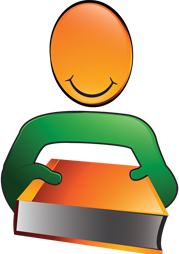 In fact, the entire book is primarily for the lay person to help them get familiarized with the nature of POTS. 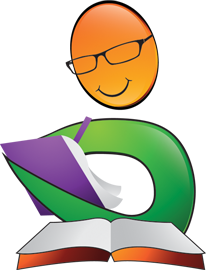 The writing style is thus easy to understand and does not contain unnecessary medical terminology and jargon. It includes simple illustrations to help explain the medical cause of this condition. This is a well-written and thorough book that anyone suffering from this condition would find immensely helpful. 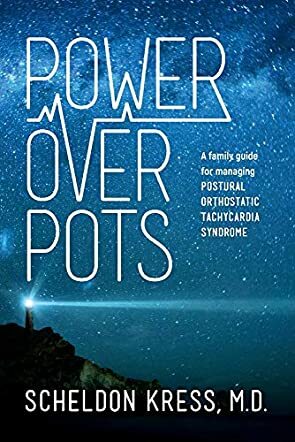 POWER over POTS: A Family guide for Managing Postural Tachycardia Syndrome is a non fiction account of medical experience penned by author Scheldon Kress, M.D. Written by a physician with a personal connection to the POTS condition, the book aims to shed further light for patients, who often go through years of suffering as they await their diagnosis. In the work, Dr Kress explains the nature of how the condition affects adolescents and young adults and, if uncorrected, can remain with them their whole lives, making daily tasks arduous and painful. Written as a whole family guide, the book aims to show exercises and suggestions for symptom management, reducing the illness’s grip, and providing much needed advice and consolation for families who may have been ignored by other health professionals. As a writer with an invisible and debilitating condition that took 9 years to diagnose, I praise author Scheldon Kress, M.D. 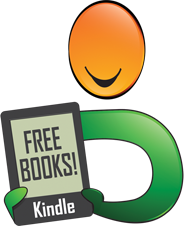 for the care and consideration that has gone into the creation of this book. His personal connection to POTS, through the symptoms his grandson suffered aged 16, puts him in a position to directly relate to family members who have helplessly watched their loved ones suffer, which is reflected in frank and compassionate prose. When you combine this with his medical knowledge and extensive reading on the subject, it presents a full overview of how and why the condition causes so many problems, as well as providing practical advice for physical and emotional well-being. POWER over POTS: A Family guide for Managing Postural Tachycardia Syndrome is a must-read for POTS sufferers and their families.